Tahoe’s snowpack is likely to last until summer, and while many downhill resorts are closing soon, there’s still a lot to explore. 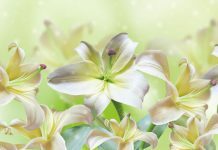 Here are our picks for some of the best ways to enjoy spring in Tahoe. This year’s snowfall has exceeded more than 700 inches at most Tahoe ski resorts, extending the winter season well into spring. 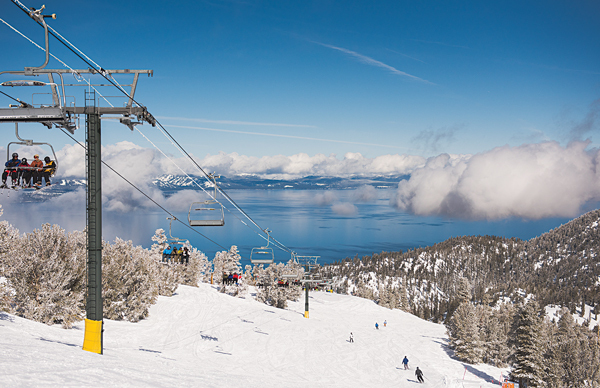 Many Tahoe resorts will be open until late April, while Mt. Rose is looking to continue turning lifts through Memorial Day. And, Squaw Valley says it will be open for skiing on the 4th of July. The ski lifts may stop turning, but the back-county season is likely to continue well into summer. Now is also a great time to grab a reservation at one of the Sierra Club’s Tahoe huts that you’ve been trying to get all season. The huts – Benson, Bradley, Grubb and Ludlow – are accessed by skiing or snowmobiling. The cross-country ski resorts may be closed, but there’s still plenty of snow trails to explore. Local and state parks are a great place to explore the snow trails from lakeside locales at Sugar Pine and Donner State Memorial Park to Spooner Lake and North Tahoe Regional Park in Tahoe Vista. Hope Valley is a magnificent place to explore with vast meadows and breathtaking views, and Mount Rose is sure to be a winter playground for the next few months. These same spots are also great places to take the kids sledding. 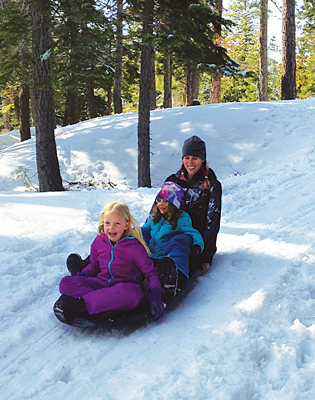 Check out our list of local snow trails and sledding hills in this issue and at TheTahoeWeekly.com. 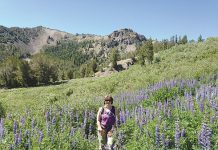 Trails in Truckee and the East Shore of Lake Tahoe have more sun exposure and less snowpack, and will be some of the first to open for hikers. My favorite early season hike is Skunk Harbor on the East Shore. Visit TheTahoeWeekly.com for details on other local hikes. 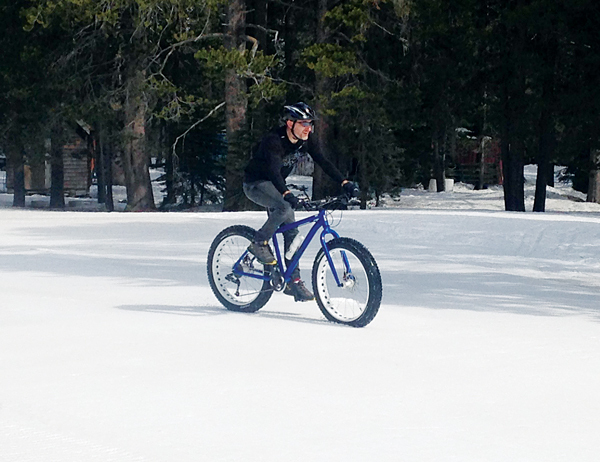 Mountain bikers will have to wait longer this season to explore Tahoe trails, but if you have a fat tire bike, go for it. Local snow trails and snowmobile locations are packed down from heavy users throughout the season and make great spots for fat tire biking. Don’t bike on wet trails – it causes ruts and damages trails. A big no-no. The spring snowmelt will mean amazing waterfalls, but you’ll have to snowshoe to reach many of them. Check trail conditions and parking before venturing out by calling the Forest Service (see Sightseeing in this issue for contact information). And, be sure to carry maps as most signs will likely still be buried in the snow. Eagle Falls in Emerald Bay. Venture to the upper falls just off the Emerald Bay parking lot or snowshoe down to the lower falls accessed via the Vikingsholm parking lot. Meeks Bay waterfall on the West Shore. This is a mostly flat trail to the waterfall. The only sign that designates the fork for the Pacific Crest Trail is likely buried so carry a topo map. Shirley Canyon in Olympic Valley is always a crowd-pleaser. You can reach Shirley Creek after a short trek with lots of small, cascading falls through the rocks. Glen Alpine Falls at Fallen Leaf Lake. The lower falls are pretty much at the trailhead, while the upper falls are only a 1-mile hike. Now is a great time to explore local museums. Tahoe City is home to the Gatekeeper’s Museum, the Tahoe Maritime Museum and the Museum of Sierra Ski History, all chocked full of great local artifacts. Explore the science of Tahoe at the Tahoe Science Center in Incline Village, Nev., and don’t forget the railroad museum housed in a caboose in Truckee. Check out the Sightseeing page in this issue and at TheTahoeWeekly.com for more great museums to explore. Of course, you’ll want to get the kids out. 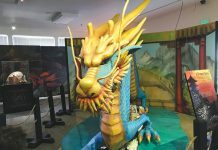 A favorite spot is the KidZone Museum in Truckee. Sledding will be plentiful for a while on Donner Summit and Mount Rose. Or, explore local indoor climbing walls and indoor pools at the region’s public recreation centers. 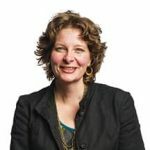 See our list of Family Activities in this issue or visit TheTahoeWeekly.com.